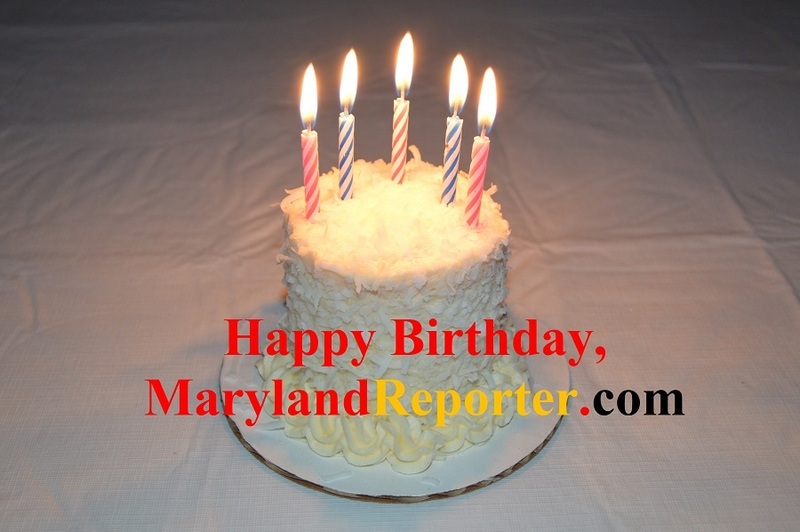 We got so busy this week covering this astounding election in Maryland that we failed to celebrate MarylandReporter.com’s official 5th Birthday Nov. 2. Please consider helping us celebrate our award-winning coverage by making a donation to our nonprofit Maryland corporation, recognized by the IRS as a 501(c)(3), which makes your contribution tax deductible. Our site got so busy on Tuesday with hundreds of people accessing the site at one time that it crashed the server, and we had to increase our capacity. Good thing we did. We had even more traffic the next day with our coverage of the GOP wave that swept the state and shocked Democrats (and Republicans) high and low. We had close to 8,000 visitors Wednesday, and we had over 56,000 unique users in the past month, nearly twice as many as normal when the legislature is out of session. This all takes time, people and money. There is short supply of all three as we do our daily roundup of state news from 40 different sites. These past few weeks we’ve linked to national coverage of this surprising turn of events here. In our five years, we’ve sent out over 1,200 daily newsletter with their roundups of coverage from relevant media: mainstream, upstream, downstream, lame-stream even. Over 5,700 people get the newsletter, and over 1,000 people open it every day, but only about 300 folks have ever made a contribution. To continue pursuing this mission, we need your help. Foundations helped us get started and a few of them continue to support us — the Knight Foundation, the Abell Foundation, the Ethics and Excellence in Journalism Foundation, Leidy Foundation, and our original funder, the Franklin Center for Government and Public Integrity. Some of this grant funding has stopped, and other foundations we’ve approached are looking to see how much we can raise from individual donors and corporate sponsors. Many of the more than 300 donors are listed on the website. A couple dozen have chosen to remain anonymous. A copy of the current financial statement of MarylandReporter.com (IRS Form 990) can be found on our website. It is also available by writing Len Lazarick, MarylandReporter.com Inc., 6392 Shadowshape Place, Columbia, MD 21045, by e-mailing Len@MarylandReporter.com, or by calling 410-312-9840. Documents and information submitted under the Maryland Solicitations Act are also available, for the cost of postage and copies, from the Maryland Secretary of State, State House, Annapolis MD 21401, (410) 974-5534.